Does the firm currently have clients with equity compensation? The more the better because referrals are a great way to penetrate this market. 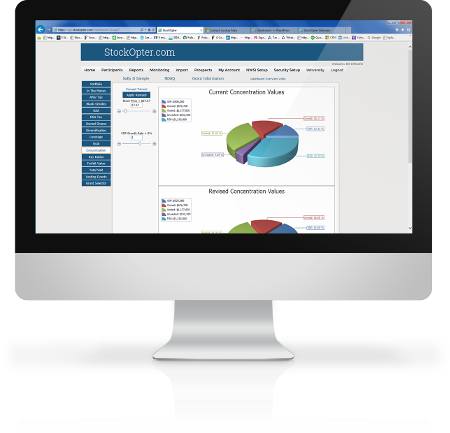 Is equity compensation planning compatible with any of the other services your firm provides? If you currently provide corporate or business services this should facilitate an executive services program and provide momentum. Are you located in an area with a decent number of publicly traded companies or startups? Proximity to companies that are likely to offer equity compensation to employees is key. The more companies offering equity compensation in your reach, the larger the opportunity. Do you have inside contacts at these companies? They don't have to be with the HR department. Any senior contact can be used to get a foot in the door or for referrals. Has the firm any subject matter expertise in equity compensation? If not, this is not a deal breaker. Expertise can be acquired or developed. Strong executive services programs are more about organization and process than just knowledge. 2. Be Committed: If the "fit" is good, the next thing needed to develop an effective executive services program is committment. Firm leadership must be behind this endeavor and resources need to be available. At a minimum, a high level program champion, a dedicated project leader and the availability of other resources (money and people) is necessary. If the firm has too many other initiatives in the works to provide a high degree of support, the executive services project will never get off the ground. It is better to postpone this project until sufficient resources are available. 3. Define Your Executive Services Offering: It is critical to be able to clearly describe your executive services offering so that it can be effectively marketed and delivered. It is a good idea to involve management, prospective clients, marketing/delivery staff and vendors in an iterative development process. Start by answering the following questions. Who is the target market? The position of the target employee should be taken into consideration because different positions (i.e. Officers v. Vice Presidents) require different degrees of expertise and levels of service. Tightening the target market will produce a more focused offering. What does the service entail and what are the deliverables? A good executive services offering should create a framework for making timely equity compensation diversification decisions. The StockOpter Personal Equity Compensation Profile is an example of this type of framework because it contains a variety of decision metrics including the Insight Ratio that can be monitored to trigger decisions. What is the value of your executive services offering and how is it priced? Keep in mind, if you give away your services for nothing, that is exactly what they are worth. Try to price your executive services on the value they generate and don't hesitate to make the value known to prospective clients. Charging an annual fee to provide quarterly equity compensation consultations and nightly decision criteria monitoring is an accepted practice. You can always discount or waive the fee based on assets under management, referrals or other reasons. How will the program be marketed? Don't make your executive services offering the best kept secret at your firm. Everyone should be aware of and play a role in the marketing of this program. Use your detailed executive services description to create a marketing piece that explains the process, deliverables and value. Additionally, don't hesitate to ask satisfied executives if they know anyone with equity compensation who could benefit from your services. 4. Establish Goals and a Detailed Project Plan: If you are serious about competing in the executive services market you need to establish goals and develop a plan to attain them. Start by identifying the number of executives and assets under management you would like to acquire over the next 5 years. Be aware that you'll need a target population of executives that is 5 to 10 times larger than your goal. Create a project plan that includes a realistic monthly forecast of prospect meetings and new clients to track the results. It will take some time to ramp up an executive services program, but keep in mind that asset inflows from equity compensation will grow over time as grants are diversified. A well thought out and managed project plan involving management, delivery personnel and marketing will facilitate the implementation of a successful executive services program.